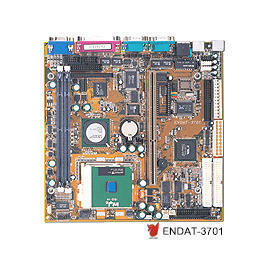 Boardcon Compact 31S is an ultra compact board built around the Allwinner A31S phablet processor. The Allwinner A31s is a power efficient processor based on ARM Cortex-A7 CPU architecture and adopted by many tablet PC manufacturers, such as Ramos K1, HP Compaq 7, MSI Primo81, Onda V819mini. Coupled with PowerVR SGX544MP2 GPU with eight logic core, it enables powerful 3D computing capability as well as excellent UI experience. On the Compact 31S, the A31s SoC is accompanied by 1GB of soldered DDR3 RAM, 4GB of eMMC flash, and a rear-mounted microSD slot. The board is further equipped with HDMI 1.4 and VGA ports, as well as a capacitive touch-enabled LCD interface. The SBC provides HD resolution up to 1280 x 800 pixels, decode video up to 2160p, and encode video up to 1080p, says Boardcon. The Compact 31S offers a USB 2.0 host and a micro-USB 2.0 OTG port, as well as a gigabit Ethernet port. WiFi is optional via a module located on the back of the board, and a 3G dongle can be added via USB. A CMOS camera interface is also listed as an option. The SBC provides an IrDA remote interface, as well as audio I/O and volume and menu buttons. Other features include a 20-pin GPIO connector, a Real Time Clock, and a reset button. A PMIC has been added to improve power efficiency on the 5V/2A board, which supports an optional battery. Specifications: * Processor — Allwinner A31s (4x Cortex-A7 cores @ 1GHz); PowerVR SGX-544 MP2 GPU * Memory — 1GB soldered DDR3-1866 RAM; 4GB eMMC flash * Storage expansion — MicroSD slot * Display: HDMI 1.4 port at up to 1080p, 30fps; LCD (40-pin FPC interface) with capacitive touch support; VGA port at up to 1280 x 800 pixels * Wireless — Optional WiFi and USB-based 3G * Networking — Gigabit Ethernet port * Other I/O: USB 2.0 host port; Micro-USB 2.0 OTG port; Audio I/O; 20-pin GPIO connector * Other features: Optional CMOS camera interface; RTC (ext. battery); 3x user buttons (volu I/O me +/-, menu); Reset button; IR remote control * Power — 5V 2A input; PMIC; battery connector * Dimensions — 92 x 65mm * Operating system — Android 4.2.2 preinstalled (based on Linux 3.3) Compact 31S is provided with full ready-to-run Android4.2.2 packages and comprehensive documentation. It is an ideal development platform for experimenting and realizing "low cost" embedded applications. About Design Services Boardcon can provide the embedded hardware and software you need to meet your embedded project requirements. When the addition of your feature can economically be included in one of our existing SBCs, we will modify the board for a semi-custom solution. When needed, we will develop a new embedded SBC or peripheral board to meet your requirements.